In the modern-day British town of Bridgewater there is a place known as “Westover”. 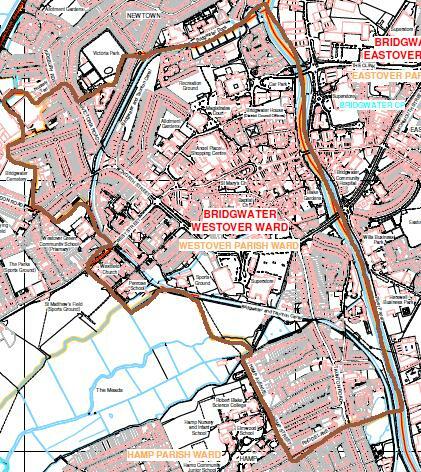 Bridgewater is divided by the River Parret and those living west of the river reside in a ward known as “Westover” while those on the other side of the river reside in “Eastover” – because they are either east or west over the river. Though this community of Bridgewater has been organized formally only recently they follow an ancient pattern for names in rural England. Indeed, the name “Westover” can be traced to many places all over Great Britain. Where the surname Westover came from is thus very difficult to pinpoint exactly. As William the Conqueror brought taxation for the first time to Britain in the 11th century so too did the need arise for some way of better identifying people. A surname was devised based upon easily identifiable factors – perhaps a place, a father’s given first name, or a trade or physical characteristic. The name Westover means “to the west of” – and some researchers think it first surfaced as a reference to people living west of the River Stour in the county of Dorset, in southwest England. Some say the name Westover is a compounded version of the words West and Stour. The oldest place in England bearing the Westover name is located – west, of course – of the town of Andover, England.